The author of The Girl Who Came Home turns the clock back one hundred years to a time when two young girls from Cottingley, Yorkshire, convinced the world that they had done the impossible and photographed fairies in their garden. Now, in her newest novel, international bestseller Hazel Gaynor reimagines their story. 1917… It was inexplicable, impossible, but it had to be true—didn’t it? When two young cousins, Frances Griffiths and Elsie Wright from Cottingley, England, claim to have photographed fairies at the bottom of the garden, their parents are astonished. But when one of the great novelists of the time, Sir Arthur Conan Doyle, becomes convinced of the photographs’ authenticity, the girls become a national sensation, their discovery offering hope to those longing for something to believe in amid a world ravaged by war. Frances and Elsie will hide their secret for many decades. But Frances longs for the truth to be told. One hundred years later… When Olivia Kavanagh finds an old manuscript in her late grandfather’s bookshop she becomes fascinated by the story it tells of two young girls who mystified the world. But it is the discovery of an old photograph that leads her to realize how the fairy girls’ lives intertwine with hers, connecting past to present, and blurring her understanding of what is real and what is imagined. As she begins to understand why a nation once believed in fairies, can Olivia find a way to believe in herself? 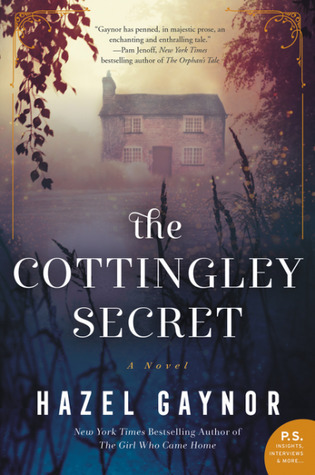 The Cottingley Secret by Hazel Gaynor is a 2017 William Morrow Paperbacks publication. This novel is based on the real events surrounding a group of photographs taken by sixteen year old Elsie Wright and her nine year old cousin, Frances Griffiths, in Cottingley, England in 1917. The photographs allegedly captured images of fairies at the Cottingley Beck, a stream where the two girls often played. 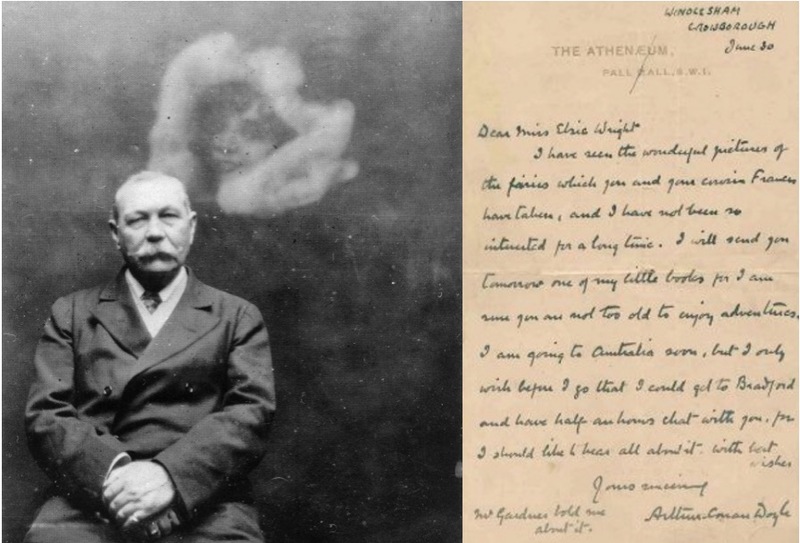 The photos garnered the attention of Sherlock Holmes author, Sir Arthur Conan Doyle, who featured the story in ‘The Strand Magazine’, in 1920. For years the public debated whether or not the photos were genuine, or if it was all a big hoax. This novel tells a fictional account of Elsie and Frances, and their adventures, alongside the current day story of Olivia Kavanagh, a woman who has come to set her grandparents affairs in order after the death of her grandfather. Olivia is engaged, with a life back in London, but after inheriting her grandfather’s bookstore, she begins to reassess her life and decides to stay and manage the bookstore, unable to bring herself to sell it. But, along with the bookshop, Olivia’s grandfather left behind a manuscript written by Frances Griffiths, in which she details what really happened back in 1917, and puts to rest, the question regarding the one photo Frances insists is the real deal. This is a delightful and fanciful accounting of Elsie and Frances' life story, and how they gave the gift of hope and a little bit of magic to people during the dark and bleak days of world war one. It is fascinating to me how people seized hold of the possibility that the fairies did indeed exist and could be captured on film. I think there is a bit of psychology behind that, with world war one raging in the background. I also enjoyed the way the story unfolded bit by bit through the eyes of Olivia, who has found the courage to rediscover her true self and in so doing, finds that maybe, just maybe, believing in fairies and magic might not be a bad thing, after all. For me, this story occasionally had a sad and bittersweet tone, but mostly it was sweet and whimsical, and I enjoyed immersing myself in the dual time lines, allowing myself to be swept away by the history and even felt a slight tingle of magic along the way, so much so, I might have become a bit of a believer, myself. Although this novel is mostly conjecture, I think the author captured the atmosphere perfectly and built an interesting story around true events. 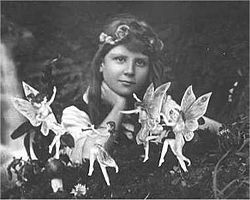 I have since done a few Google searches on the Cottingley fairies. It’s an amazing story that captured the public’s imagination for decades. I think the time and place had a lot to do with why those pictures became such a phenomenon, but that the myth persisted as long as it did is what makes the story so captivating. Overall, I think what makes the story work, is the reminder that sometimes believing in something gives it a certain power, regardless of how fantastical, and sometimes, something fantastical can give people real hope, and that magic comes in many forms. 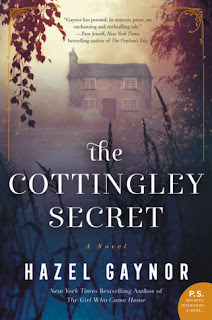 In 2017, Hazel will release two historical novels: THE COTTINGLEY SECRET (August, William Morrow/HarperCollins) and LAST CHRISTMAS IN PARIS (October, William Morrow/HarperCollins). 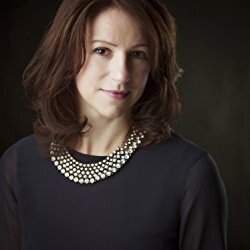 Hazel was selected by the US Library Journal as one of ‘Ten Big Breakout Authors’ for 2015 and was a WHSmith Fresh Talent selection in spring 2015. Her work has been translated into several languages and she is represented by Michelle Brower of Aevitas Creative Management, New York.